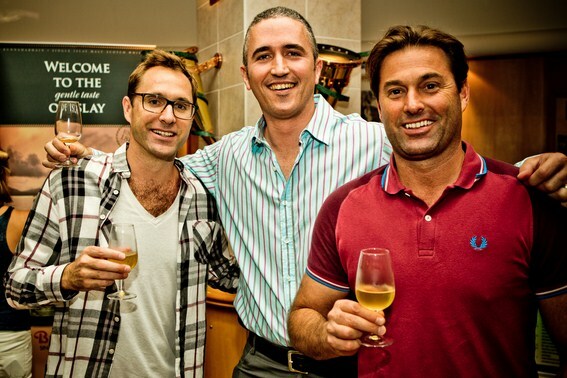 PATRICK LECLEZIO sits down with the guys tending South Africa’s passion for Scotch whisky. First published in Prestige Magazine (October 2017 edition). If you were ever searching for evidence that South Africans have good taste, you’d find a rich vein in our affection for Scotch whisky. It’s a preference that says something about us: we’re discerning without being fussy, and cultivated but not pretentious. We’ll connect over a glass of the good stuff, in silent nod to this shared understanding, whether we’re crusty old dogs, boardroom bigshots, or slinky models. Like brothers-in-law married to a set of outstanding sisters, we’re bound together by our good judgement and common devotion. In fact the extent and duration of our ardour has been impressive indeed: South Africa has for decades now been amongst the top ten export markets for Scotch whisky. We might have had suspicions though, until not long ago, that this affection was unrequited. No longer. Thanks largely to the ministrations of companies like Intra and Distell it can now be confirmed jubilantly that we love Scotch and that Scotch also loves us – the relationship is unreservedly mutual, and richly reciprocated. This commitment to one another is emphatically evident in Distell’s landmark investment in the industry – which wedded three distilleries (Bunnahabhain, Deanston and Tobermory) to South Africa. 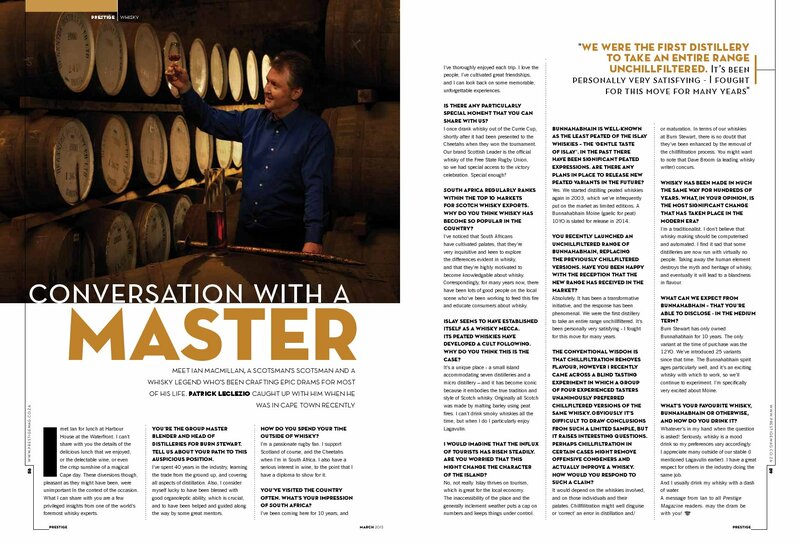 I recently chatted to Andy Watts, their Head of Whisky Intrinsic (and an all-round whisky legend! 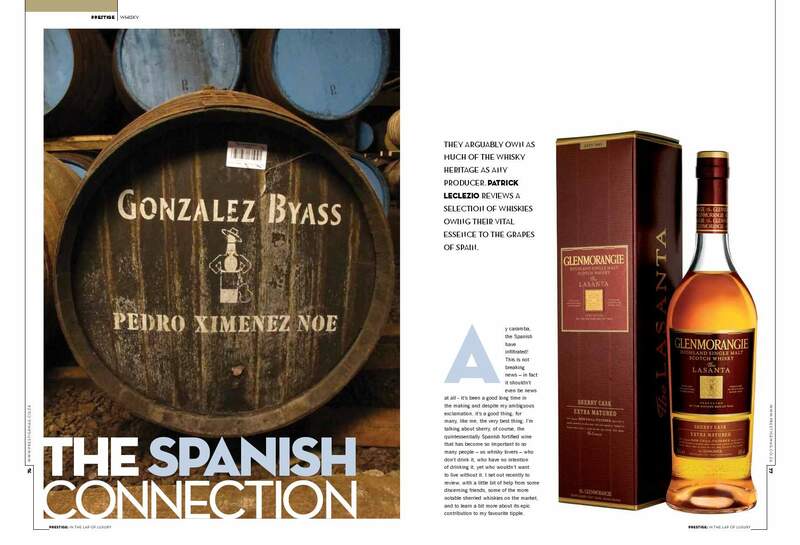 ), and Dino D’Araujo, the Spirits Category Marketing Manager, about the company’s role in these matrimonial developments. PM: When did Distell first get involved with Scotch whisky beyond representation and distribution? DD: Distell was initially involved with building the Scotch industry in South Africa as a distributor of a number of iconic brands. When these agreements ended in the 1990’s, Distell and Burn Stewart Distillers (BSD) formed a joint venture for Africa and distribution of the brands started in South Africa. This was then extended with the purchase of BSD in April 2013. PM: What was the rationale for the acquisition? DD: Scotch whisky remains an exciting category globally and in South Africa so it made sense for Distell to move from joint venture to acquisition, building upon an already sound working relationship with BSD. The acquisition further strengthened our international portfolio and added scale and synergies. PM: We’ve heard that Distell recently bought a stake in the Best brand. Does this indicate an intention to focus (a) regionally within Africa on (b) value-for-money Scotch whisky? DD: Distell has a long-standing focus on growing in Africa. The acquisition of a 26% stake in Best Whisky opens the door for synergies as we progress towards taking a controlling stake. We also believe the combined portfolios will help to fast-track the portfolios of both Best and Distell in Africa across multiple value tiers. PM: What are the next steps for Distell regarding Scotch whisky, both globally and particularly with regards to the South African market? DD: Whisky we believe will retain its inherent appeal with consumers around the world and South Africa is no exception, where the category is in excess of 4 million cases. We find that both our Scotch as well as our South African whisky portfolios are well poised for growth domestically as consumers become more discerning in their choices. We will be focusing our efforts between both portfolios. PM: Andy, what is the scope of your involvement in BSD / Distell’s Scotch whisky operations? AW: I was appointed into the newly formed Distell Centre of Excellence Intrinsics just over a year ago. My roles cover the overall quality of the whisky which goes into the bottle as well as looking at the production methods we are using across our different distilleries – identifying opportunities for synergy as well as standardisation of good practice. The timeframe is still relatively young but already projects are being implemented in Scotland at Tobermory, Bunnahabhain and possibly Deanston within the near future. These projects are being driven by the highly capable team which we have in Scotland so my involvement is not on a day to day basis. PM: I’m guessing that Distell has a different approach to and a different vision for whisky making compared to BSD’s previous management. Can you give us any insight into these differences – and specifically give us examples of how they have already and how they may impact the whiskies and the product range going forward? AW: Distell’s approach to all of its operations is to produce world-class products in the most efficient and effective manner. The team in Scotland is a new team with the operations under the capable leadership of Alan Wright. Again my involvement is not on a daily basis but the immediate task is to produce consistent base malts which will allow us to grow the current malt range as well as apply innovation to continue to be at the forefront of whisky evolution. The only real change between the old and new Burn Stewart / Distell International operations is a focus on cased own goods business rather than the bulk supply of whisky to third parties. Remember we have whiskies that have already been produced and that were in maturation long before the acquisition took place, therefore the focus is on the future and how we do things going forward to achieve those goals. PM: Related question: what changes / improvements has Distell made to the whisky making process at BSD, if any? The changes are more in terms of an upgrade and improvement to some equipment and not one of changing time-honoured process. The legislation governing how whisky is produced in Scotland is very transparent, and we strictly comply to the laws. I am fortunate enough to taste all of the expressions before they go into the bottle and I am very excited at the work being done both on the blending front with Dr Kirstie McCallum, and on the production side under the guidance of Stephen Woodcock, the Distilleries Manager. PM: You’ve been an SA whisky man for a long time. Some people and some companies can wear multiple hats, some can’t. Do you think the acquisition has enhanced / will enhance both categories within Distell, or do you think one will be favoured at the expense of the other? What are the roles that each is expected to play? AW: We make South African whisky, considered a ‘New World’ whisky region, as well as Scotch whisky, one of the most pedigreed areas for whisky production in the world. For me, it is easy to wear the two hats as I don’t feel that the two categories compete with each other. I am still very involved with our SA marketing as the “face” of our South African whisky portfolio but I do not see that role spreading to our Scottish family. We with very capable distillers, blenders, ambassadors and marketers who will continue to grow the awareness of our Scottish portfolio as more and more of our whisky come on line in future years. We will continue to be innovative on both fronts whilst ensuring the core ranges grow accordingly. PM: Lastly, what’s your favourite whisky within the BSD portfolio and why? AW: Having not really being exposed to BSD whiskies before the acquisition it was fun when all of a sudden I could try just about anything! However I have come to enjoy Deanston 12-year-old, matured predominantly in ex-Bourbon barrels, un-chill filtered and bottled at 46.3%. I think Deanston is one of our hidden gems – one, which going forward, will appear more frequently on whisky lovers’ “to try” lists. Nose: I enjoy the soft vanilla which gives way to some citrus notes as well as the oak of the cask. Taste: Again nice vanilla but with a creamy honey feel whilst holding in your mouth. Upon swallowing then spices begin to come through which makes it a very interesting whisky to me. Overall: Possibly a little sweeter than the general Highland malts but one which really had me hooked from the first taste and one which I believe will make an exceptional entry level malt to anyone wanting to start their journey into the wonderful world of whisky. Distell locally offers a range of Bunnahabhain whiskies, atypical, unpeated Islay malts, as well as the Black Bottle and Scottish Leader blends, the former a well balanced mix of peat and sherry influences, and the latter’s 12YO a light, accessible blend well suited to our climate (I’d recommend it in Mizuwari style). We wait with bated breath for the arrival of Deanston, Ledaig and Tobermory to our shores. May the dram be with you. The Kirstie McCallum episode. 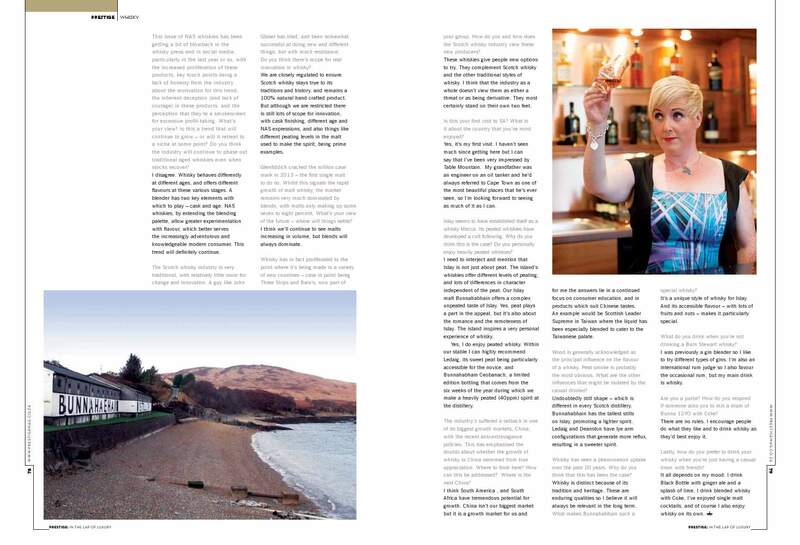 Patrick Leclezio interviews one of Scotch whisky’s pioneering women. First published in Prestige Magazine (April 2015 edition). 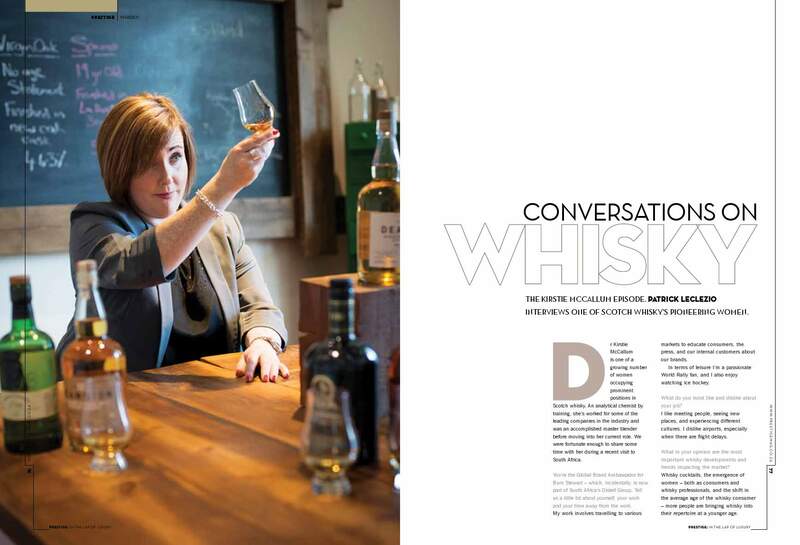 Dr Kirstie McCallum is one of a growing number of women occupying prominent positions in Scotch whisky. An analytical chemist by training, she’s worked for some of the leading companies in the industry and was an accomplished master blender before moving into her current role. We were fortunate enough to share some time with her during a recent visit to South Africa. PM: You’re the Global Brand Ambassador for Burn Stewart – which, incidentally, is now part of South Africa’s Distell Group. Tell us a little bit about yourself, your work and your time away from the work. KM: My work involves travelling to various markets to educate consumers, the press, and our internal customers about our brands. In terms of leisure I’m a passionate World Rally fan, and I also enjoy watching ice hockey. PM: What do you most like and dislike about your job? KM: I like meeting people, seeing new places, and experiencing different cultures. I dislike airports, especially when there are flight delays. PM: What in your opinion are the most important whisky developments and trends impacting the market at this point in time? KM: Whisky cocktails, the emergence of women – both as consumers and whisky professionals, and the shift in the average age of the whisky consumer – more people are bringing whisky into their repertoire at a younger age. PM: This issue of NAS whiskies has been getting a bit of blowback in the whisky press and in social media, particularly in the last year or so, with the increased proliferation of these products, key touch points being a lack of honesty from the industry about the motivation for this trend, the inherent deception (and lack of courage) in these products, and the perception that they’re a smokescreen for excessive profit-taking. What’s your view? Is this trend that will continue to grow – or will it retreat to a niche at some point? Do you think the industry will continue to phase out traditional aged whiskies even when stocks recover? KM: I disagree. Whisky behaves differently at different ages, and offers different flavours at these various stages. A blender has two key elements with which to play – cask and age. NAS whiskies, by extending the blending palette, allow greater experimentation with flavour, which better serves the increasingly adventurous and knowledgeable modern consumer. This trend will definitely continue. PM: The Scotch whisky industry is very traditional, with relatively little room for change and innovation. A guy like John Glaser has tried, and been somewhat successful at doing new and different things, but with much resistance. Do you think there’s scope for real innovation in whisky? KM: We are closely regulated to ensure Scotch whisky stays true to its traditions and history, and remains a 100% natural hand crafted product. But although we are restricted there is still lots of scope for innovation, with cask finishing, different age and NAS expressions, and also things like different peating levels in the malt used to make the spirit, being prime examples. PM: Glenfiddich cracked the million case mark in 2013 – the first single malt to do so. Whilst this signals the rapid growth of malt whisky, the market remains very much dominated by blends, with malts only making up some seven to eight percent. What’s your view of the future – where will things settle? KM: I think we’ll continue to see malts increasing in volume, but blends will always dominate. PM: Whisky has in fact proliferated to the point where it’s being made in a variety of new countries – case in point being Three Ships and Bain’s, now part of your group. 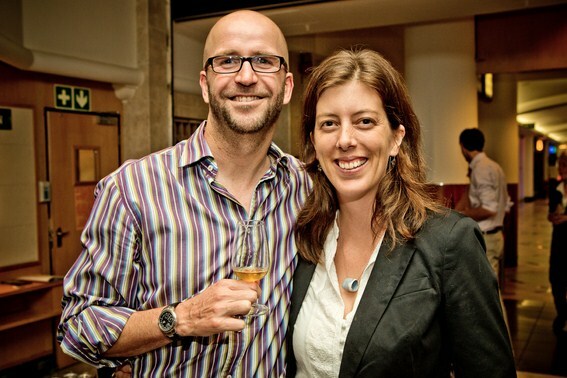 How do you and how does the Scotch whisky industry view these new producers? Are they good for stimulating continued interest and growth, or do you see them as a potential future threat? Do they have a place in whisky, do they stand on their own two feet – or are they largely just derivative copycats? KM: These whiskies give people new options to try. They complement Scotch whisky and the other traditional styles of whisky. I think that the industry as a whole doesn’t view them as either a threat or as being derivative. They most certainly stand on their own two feet. PM: Is this your first visit to SA? What is it about the country that you’ve most enjoyed? KM: Yes, it’s my first visit. I haven’t seen much since getting here but I can say that I’ve been very impressed by Table Mountain. My grandfather was an engineer on an oil tanker and he’d always referred to Cape Town as one of the most beautiful places that he’s ever seen, so I’m looking forward to seeing as much of it as I can. PM: Islay seems to have established itself as a whisky Mecca. Its peated whiskies have developed a cult following. Why do you think this is the case? Do you personally enjoy heavily peated whiskies? KM: I need to interject and mention that Islay is not just about peat. The island’s whiskies offer different levels of peating, and lots of differences in character independent of the peat. Our Islay malt Bunnahabhain offers a complex unpeated taste of Islay. Yes, peat plays a part in the appeal, but it’s also about the romance and the remoteness of Islay. The island inspires a very personal experience of whisky. Yes, I do enjoy peated whisky. Within our stable I can highly recommend Ledaig, its sweet peat being particularly accessible for the novice, and Bunnahabhain Ceobanach, a limited edition bottling that comes from the six weeks of the year during which we make a heavily peated (40ppm) spirit at the distillery. PM: The industry’s suffered a setback in one of its biggest growth markets, China, with the recent anti-extravagance policies. This have emphasised the doubts about whether the growth of whisky in China stemmed from true appreciation. Where to from here? How can this be addressed? Where is the next China? KM: I think South America , and South Africa have tremendous potential for growth. China isn’t our biggest market but it is a growth market for us and for me the answers lie in a continued focus on consumer education, and in products which suit Chinese tastes. An example would be Scottish Leader Supreme in Taiwan where the liquid has been especially blended to cater to the Taiwanese palate. PM: Wood is generally acknowledged as the principal influence on the flavour of a whisky. Peat smoke is probably the most obvious. What are the other influences that might be isolated by the casual drinker? KM: Undoubtedly still shape – which is different in every Scotch distillery. Bunnahabhain has the tallest stills on Islay, promoting a lighter spirit. Ledaig and Deanston have lye arm configurations that generate more reflux, resulting in a sweeter spirit. PM: Whisky has seen a phenomenon uptake over the past 20 years. Why do you think that this has been the case? There is increasing competition as others up their game, and there will always be a natural fluctuation in trends and drinking habits. Can whisky continue to grow? What sets it apart from other fine spirits? What makes it persistently relevant? KM: Whisky is distinct because of its tradition and heritage. These are enduring qualities so I believe it will always be relevant in the long term. PM: What makes Bunnahabhain such a special whisky? KM: It’s a unique style of whisky for Islay. And its accessible flavour – with lots of fruits and nuts – makes it particularly special. PM: What do you drink when you’re not drinking a Burn Stewart whisky? KM: I was previously a gin blender so I like to try different types of gins. I’m also an international rum judge so I also favour the occasional rum, but my main drink is whisky. PM: Are you a purist? How do you respond if someone asks you to mix a dram of Bunna 12YO with Coke? KM: There are no rules. I encourage people do what they like and to drink whisky as they’d best enjoy it. PM: Lastly, how do you prefer to drink your whisky when you’re just having a casual dram with friends? KM: It all depends on my mood. I drink Black Bottle with ginger ale and a splash of lime, I drink blended whisky with Coke, I’ve enjoyed single malt cocktails, and of course I also enjoy whisky on its own. Meet Ian MacMillan, a Scotsman’s Scotsman and a whisky legend who’s been crafting epic drams for most of his life. I caught up with him when he was in Cape Town recently. 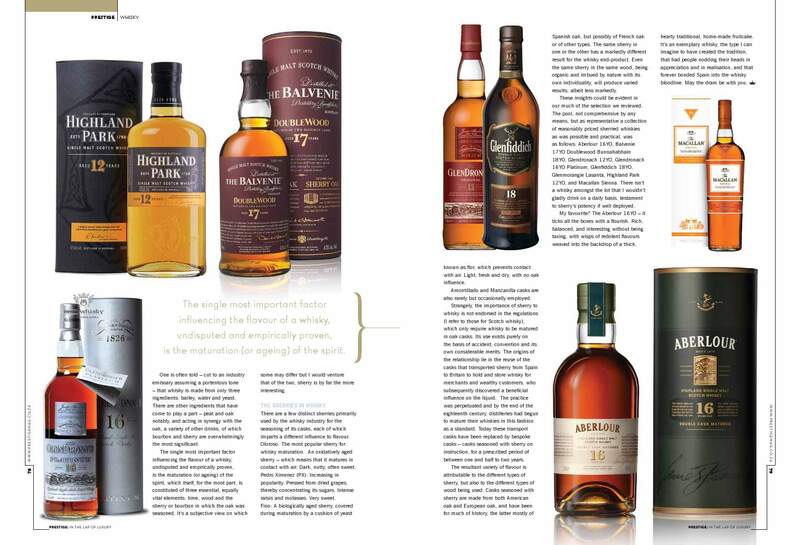 First published in Prestige Magazine (March 2013 issue). More or less as it appeared. A few typesetting issues in this version. I met with Ian at Harbour House in the Waterfront. I can’t share with you the details of the delicious lunch that we enjoyed, or the delectable wine, or even the crisp sunshine of that magical Cape day. These diversions though, pleasant as they might have been, were unimportant In the context of the occasion.What I can share with you are a few privileged insights from one of the world’s foremost whisky experts. You’re the Group Master Blender and Head of Distilleries for Burn Stewart. Tell us about your path to this auspicious position. I’ve spent 40 years in the industry, learning the trade from the ground up, and covering all aspects of distillation. Also, I consider myself lucky to have been blessed with good organoleptic ability, which is crucial, and to have been helped and guided along the way by some great mentors. How do you spend your time outside of whisky? I’m a passionate rugby fan. I support Scotland of course, and the Cheetahs when I’m in South Africa. I also have a serious interest in wine, to the point that I have a diploma to show for it. You’ve visited the country often. What’s your impression of South Africa? I’ve been coming here for 10 years, and I’ve thoroughly enjoyed each trip. I love the people, I’ve cultivated great friendships, and I can look back on some memorable, unforgettable experiences. Is there any particularly special moment that you can share with us? South Africa regularly ranks within the top 10 markets for Scotch whisky exports. Why do you think whisky has become so popular in the country? I’ve noticed that South Africans have cultivated palates, that they’re very inquisitive and keen to explore the differences evident in whisky, and that they’re highly motivated to become knowledgable about whisky. Correspondingly, for many years now, there have been lots of good people on the local scene who’ve been working to feed this fire and educate consumers about whisky. Islay seems to have established itself as a whisky Mecca. Its peated whiskies have developed a cult following. Why do you think this is the case? It’s a unique place – a small island accommodating seven distilleries and a micro distillery – and it has become iconic because it embodies the true tradition and style of Scotch whisky. Originally all Scotch was made by malting barley using peat fires. I can’t drink smoky whiskies all the time, but when I do I particularly enjoy Lagavulin. I would imagine that the influx of tourists has risen steadily. Are you worried that this might change the character of the island? No, not really. Islay thrives on tourism, which is great for the local economy. The inaccessibility of the place and the generally inclement weather puts a cap on numbers and keeps things under control. Bunnahabhain is well-known as the least peated of the Islay whiskies – the ‘gentle taste of Islay’. In the past there have been significant peated expressions. Are there any plans in place to release new peated variants in the future? Yes. We started distilling peated whiskies again in 2003, which we’ve infrequently put on the market as limited editions. A Bunnahabhain Mòine (gaelic for peat) 10YO is slated for release in 2014. You recently launched an unchillfiltered range of Bunnahabhain, replacing the previously chillfiltered versions. Have you been happy with the reception that the new range has received in the market? Absolutely. It has been a transformative initiative, and the response has been phenomenal. We were the first distillery to take an entire range unchillfiltered. It’s been personally very satisfying – I fought for this move for many years. The conventional wisdom is that chillfiltration removes flavour, however I recently came across a blind tasting experiment in which a group of four experienced tasters unanimously preferred chillfiltered versions of the same whisky. Obviously it’s difficult to draw conclusions from such a limited sample, but it raises interesting questions. Perhaps chillfiltration in certain cases might remove offensive congeners and actually improve a whisky. How would you respond to such a claim? It would depend on the whiskies involved, and on those individuals and their palates. Chillfilitration might well disguise or ‘correct’ an error in distillation and/or maturation. In terms of our whiskies at Burn Stewart, there is no doubt that they’ve been enhanced by the removal of the chillfiltration process. You might want to note that Dave Broom (a leading whisky writer) concurs. Whisky has been made in much the same way for hundreds of years. What, in your opinion, is the most significant change that has taken place in the modern era? I’m a traditionalist. I don’t believe that whisky making should be computerised and automated. I find it sad that some distilleries are now run with virtually no people. Taking away the human element destroys the myth and heritage of whisky, and eventually it will lead to a blandness in flavour. What can we expect from Bunnahabhain – that you’re able to disclose – in the medium term? Burn Stewart has only owned Bunnahabhain for 10 years. The only variant at the time of purchase was the 12YO. We’ve introduced 25 variants since that time. The Bunnahabhain spirit ages particularly well, and it’s an exciting whisky with which to work, so we’ll continue to experiment. I’m specifically very excited about Mòine. What’s your favourite whisky, Bunnahabhain or otherwise, and how do you drink it? Whatever’s in my hand when the question is asked! Seriously, whisky is a mood drink so my preferences vary accordingly. I appreciate many outside of our stable (I mentioned Lagavulin earlier). I have a great respect for others in the industry doing the same job. And I usually drink my whisky with a dash of water. 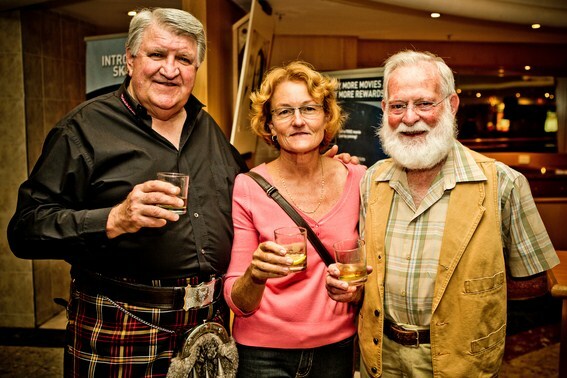 A message from Ian to all Prestige Magazine readers: may the dram be with you! 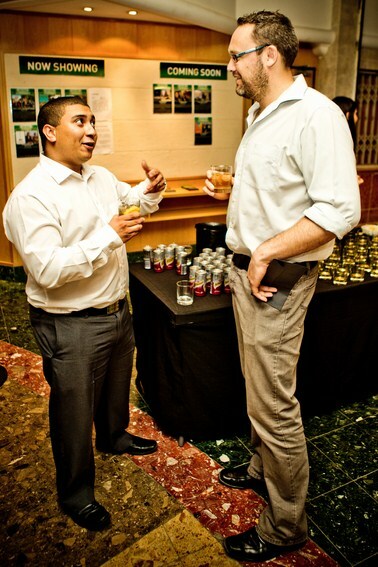 Late last year I attended the première of Angel’s Share, hosted by Bunnahabhain in association with WHISKYdotcoza. A whisky movie is a rare beast so for whisky lovers Angel’s Share is worth watching on that basis alone. The only other whisky-themed movie of which I’m aware, courtesy of Mark from the Whisky Tasting Fellowship, is 1949’s Whisky Galore. Angel’s Share also happened to win the Jury Prize at the Cannes Film Festival – so ostensibly it has more merit than just whisky. It made for pleasant if not exhilarating viewing, although I should qualify that I’d been sailing on the Bunna ship for a fair while before kick-off. Anyhow, I won’t give much away but let me say that my most and least favourite moments were the demonstration of “flogging the bung” (new knowledge for me) and the heart-stopping Irn-Bru incident respectively. It was also interesting to note that the Deanston distillery, the brand home of the locally prominent Scottish Leader, featured as the venue for some of the whisky scenes. I need to get word to them that they’ll increase their visits tenfold if they hire the tour guide from the movie. Whisky legend Charles MacLean, less comely but dispatching his duties with aplomb nonetheless, also featured in the significant role of “Whisky Master”. May the dram (Malt Mill please) be with you! BTW – Malt Mill was a real distillery. Check this out (spoiler alert). Pierre Meintjes with Dave and Lorna Hughes. Perhaps not what you thought. It’s the first whisky-themed movie of all time…to the best of my knowledge. So for all whisky lovers it’s a must-see. In this regard I might be able to help. Read on. 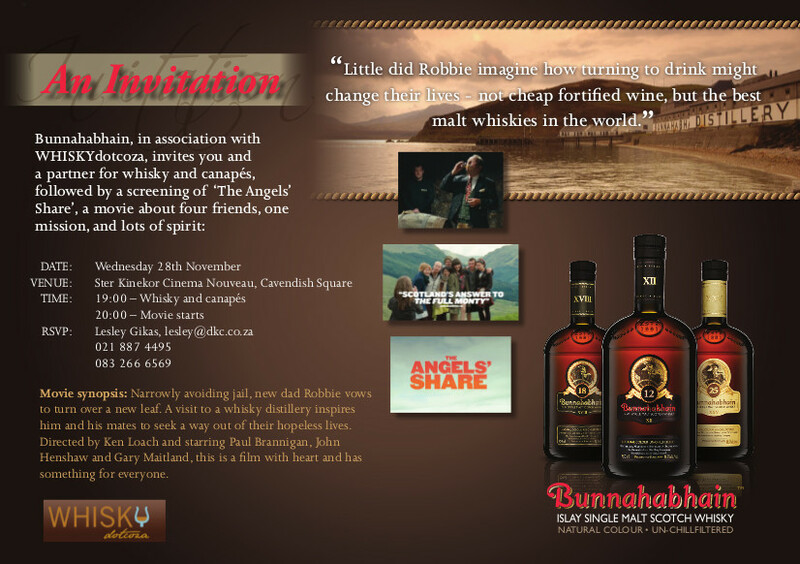 Bunnahabhain, in association with WHISKYdotcoza, will be hosting an exclusive nationwide première of The Angel’s Share on Wednesday 28 November at Cavendish Square in Cape Town. Readers of this blog, WHISKYdotcoza Facebook friends and Twitter followers, and WHISKYdotcoza customers are being offered the opportunity to win five double tickets to the event. If you want to be amongst the first people in the country to see this movie then please write to us at info@whisky.co.za and provide us with your name and contact details. Note that you’ll only be eligible if you “like” our Facebook page. The deadline for entries is Sunday 25 November at 22h00. 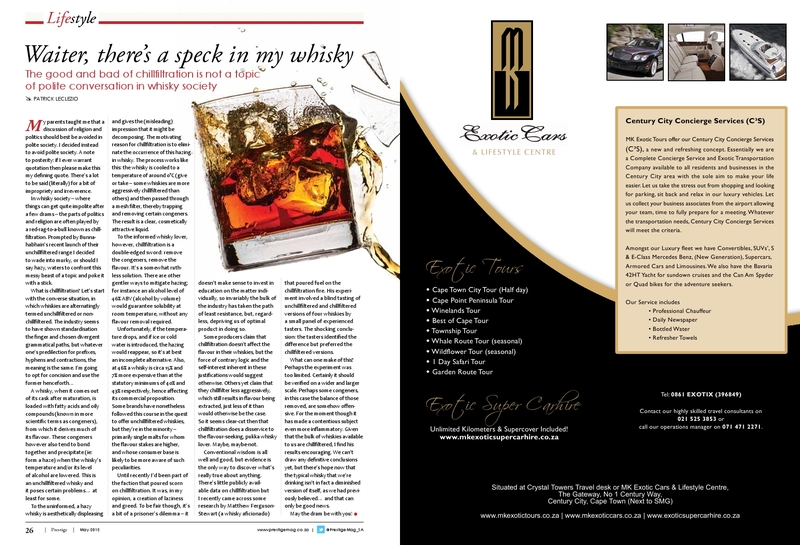 First published in Prestige Magazine (May 2012 edition). My parents taught me that a discussion of religion and politics should best be avoided in polite society. I decided instead to avoid polite society. A note to posterity: if I ever warrant quotation then please make this my defining quote. There’s a lot to be said (literally) for a bit of impropriety and irreverence. In whisky society – where things can get quite impolite after a few drams – the parts of politics and religion are often played by a red-rag-to-a-bull known as chillfiltration. Prompted by Bunnahabhain’s recent launch of their unchillfiltered range I decided to wade into murky, or should I say hazy, waters to confront this messy beast of a topic and poke it with a stick. What is chillfiltration? Let’s start with the converse situation, in which whiskies are alternatingly termed unchillfiltered or non-chill filtered. The industry seems to have shown standardisation the finger and chosen divergent grammatical paths, but whatever one’s predilection for prefixes, hyphens and contractions, the meaning is the same. I’m going to opt for concision and use the former henceforth. A whisky, when it comes out of its cask after maturation, is loaded with fatty acids and oily compounds (known in more scientific terms as congeners), from which it derives much of its flavour. These congeners however also tend to bond together and precipitate (i.e. form a haze) when the whisky’s temperature and/or its level of alcohol are lowered. This is an unchillfiltered whisky and it poses certain problems…at least for some. To the uninformed a hazy whisky is aesthetically displeasing; and it gives the (misleading) impression that it might be decomposing. The motivating reason for chillfiltration is to eliminate the occurrence of this hazing in whisky. The process works like this: the whisky is cooled to a temperature of around 0°C (give or take – some whiskies are more aggressively chillfiltered than others) and then passed through a mesh filter, thereby trapping and removing certain congeners. The result is a clear, cosmetically attractive liquid. To the informed whisky lover however chillfiltration is a double-edged sword: remove the congeners, remove the flavour. It’s a somewhat ruthless solution. There are other gentler ways to mitigate hazing; for instance an alcohol level of 46% ABV would guarantee solubility at room temperature, without any flavour removal required. Unfortunately, if the temperature drops, and if ice or cold water is introduced, the hazing would reappear, so it’s at best an incomplete alternative. Also, at 46% a whisky is circa 15% and 7% more expensive than at the statutory minimums of 40% and 43% respectively, hence affecting its commercial proposition. Some brands have nonetheless followed this course in the quest to offer unchillfiltered whiskies, but they’re in the minority – primarily single malts for whom the flavour stakes are higher, and whose consumer base is likely to be more aware of such peculiarities. Until recently I’d been part of the faction that poured scorn on chillfiltration. It was, in my opinion, a creation of laziness and greed. To be fair though it’s a bit of a prisoner’s dilemma – it doesn’t make sense to invest in education on the matter individually, so invariably the bulk of the industry has taken the path of least resistance, but, regardless, depriving us of optimal product in doing so. Some producers claim that chillfiltration doesn’t affect the flavour in their whiskies, but the force of contrary logic and the self-interest inherent in these justifications would suggest otherwise. Others yet claim that they chillfilter less aggressively, which still results in flavour still being extracted, just less of it than would otherwise be the case. So it seems clear-cut then that chillfiltration does a disservice to the flavour-seeking, pukka whisky lover. Maybe, maybe-not. Conventional wisdom is all well and good, but evidence is the only way to discover what’s really true about anything. There’s little publicly available data on chillfiltration but I recently came across some research by Matthew Ferguson-Stewart (a whisky aficionado) that poured fuel on the chillfiltration fire. His experiment involved a blind tasting of unchillfiltered and chillfiltered versions of four whiskies by a small panel of experienced tasters. The shocking conclusion: the tasters identified the difference but preferred the chillfiltered versions. What should one make of this? Perhaps the experiment was too limited. Certainly it should be verified on a wider and larger scale. Perhaps some congeners, in this case the balance of those removed, are somehow offensive. For the moment though it has made a contentious subject even more inflammatory. Given that the bulk of whiskies available to us are chillfiltered, I find his results encouraging. We can’t draw any definitive conclusions yet, but there’s hope now that the typical whisky that we’re drinking isn’t in fact a diminished version of itself, as we had previously believed…and that can only be good news. May the dram be with you!